At Eagle Pointe we offer one - on - one personal training for all ages in swimming. 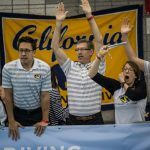 We staff US Masters Swim Coaches and USA Swim Coaches. We have a masters team that practices 4 times a week, cost is $30 / month for facility members and $50 / month non-members. USA Swim Team meets 4 times a week $ 40 /month for facility members and $60 / month non-members. You most be a USMS or USS registered swimmer to participate in practice.